StayinSavannah.com was operating on a website that was outdated in both design and functionality. The website was not responsive, so users had a difficult time navigating the site on their mobile phones and tablets. StayinSavannah.com was looking for a complete website overall. They wanted a site that was beautifully designed to match their new branding, and that was both user- and admin-friendly. 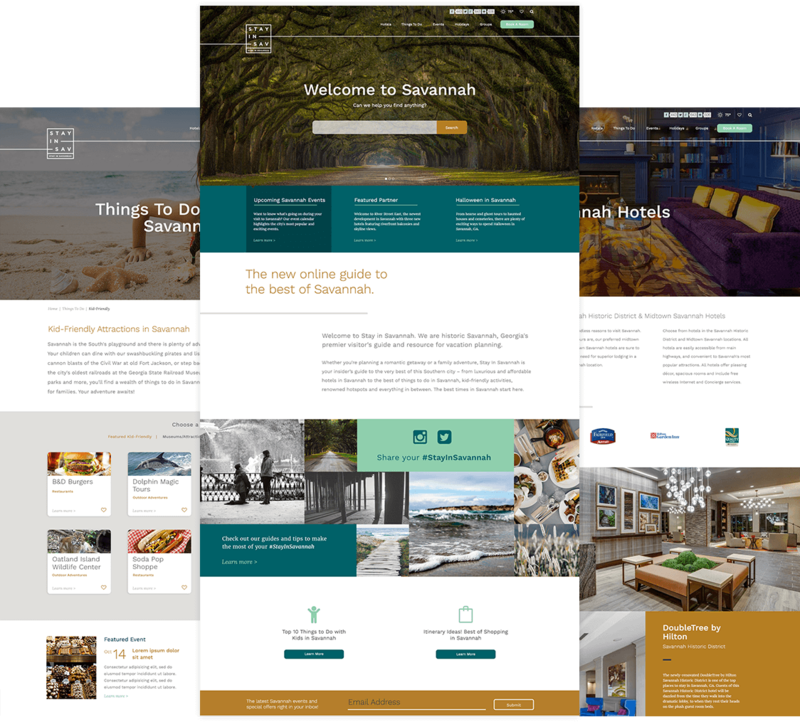 After working with the client to hone in on the goals of the new website, develop a conceptual flowchart to serve as a frame for the website’s navigation, and fine tune the design aesthetic, our team went to work on the development of the new Stay in Savannah website. We wrote keyword-rich website copy, designed unique page layouts and custom graphics, and programmed the website with custom functionality. 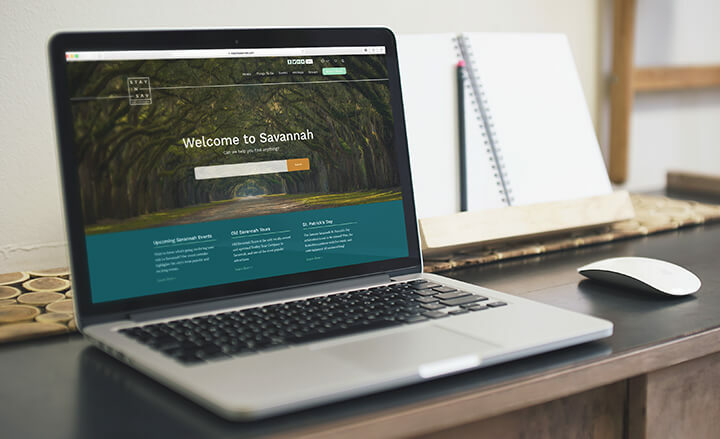 The new, intuitively designed StayinSavannah.com serves as the ultimate online guide for Savannah visitors and groups. 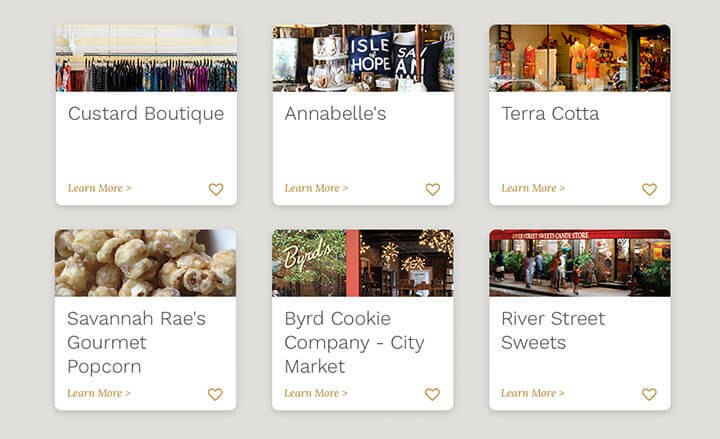 Users can now easily navigate through the best things to see and do, as well as the best places to stay, in Savannah. The responsive website functions optimally on all devices, and features a social feed with user-generated content, a search feature, an events calendar, local business listings, interactive maps, a hotel booking feature, beautiful photography, and so much more. After a training session with our team, the client can now easily make updates to key areas on the website, such as events and business listings.